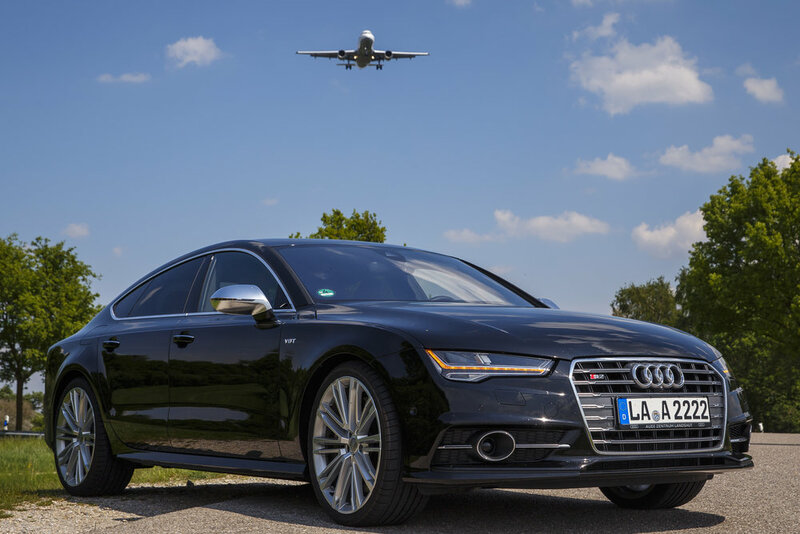 The Dream Car — Robert K.
For the last almost five years, I was one of the lucky people to drive an A7, or more recently its more sportive derivative, the S7. With its successor showing quite obviously on the horizon, I want to reflect on the story of my dream car, initially appearing too far-fetched to own, and later appearing in my garage. 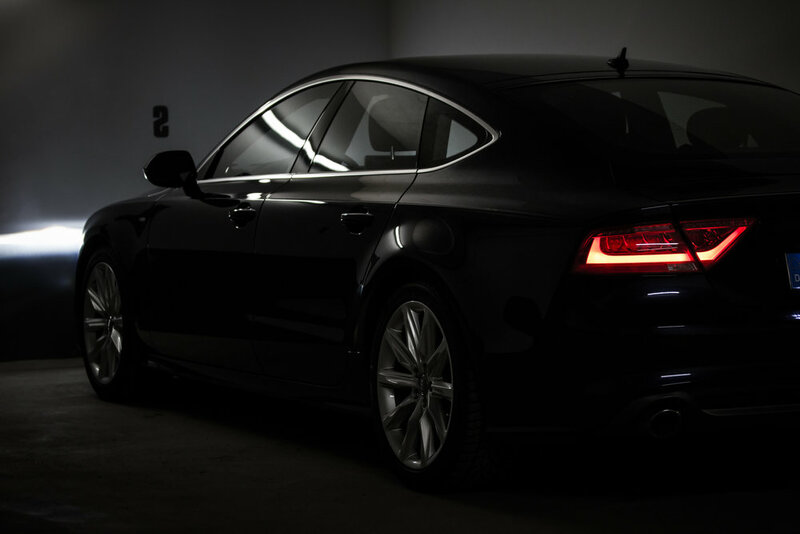 The Audi A7 first drew my attention when it was unveiled as a concept car at the 2009 LA Auto Show. Already very close to its final form, the sleek body coupled with a practical hatch in the rear looked like an interesting departure from the standard sedans without sufficient cargo space, or the rather utilitarian station wagons. Driving a brand-new Ford Focus back then, I filed this under "nice things to look at" and moved on. In July 2010, the production model A7 was introduced at the Pinakothek der Moderne in Munich, an art museum, and a rather different location to show a new car to the press. Audi was clearly viewing this car and its design as something bold and new, as also shown in the "blank piece of paper" ad campaign. I must have watched that video a thousand times since then. But actually owning that car? Remember, still driving a Ford Focus around. 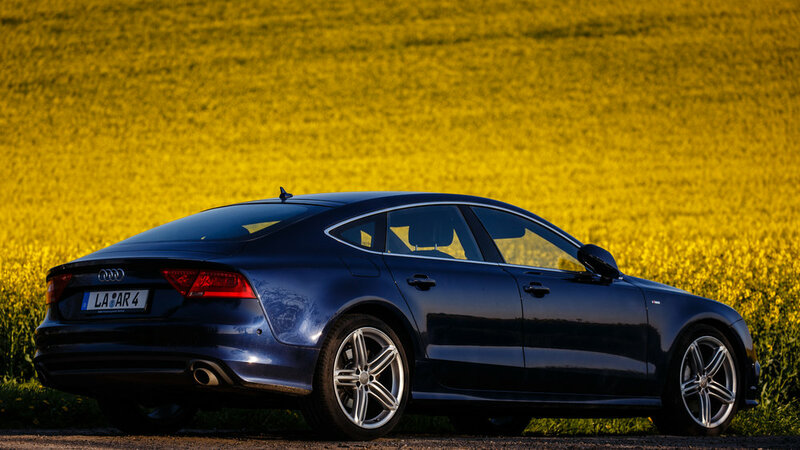 My financial situation had considerably improved since 2009, but even so I only dared to dream of an Audi A5 Sportback, the smaller cousin of the A7. Still, can't do any harm to just look at the thing, right? So, when it appeared at the Audi Forum Airport Munich (now called "myAudi Sphere"), Anja and I showed up there, pretending to be really interested - which of course was not fully incorrect, for a given definition of "interested" including, but not limited to, "definitely won't buy". After an introduction to the car outside and in, and a nice chat with one of the Audi reps working there (thank you, Mr Schröcker), I was asked if I would be interested in a test drive. Sensing imminent danger of falling into a very expensive trap of liking the A7 even more, I politely declined. Not long after, I was sitting in the car, in the snow, reflecting on how great everything was about this. Even if the exterior colour was…daring. A few months later in the spring, I wanted to relive that experience. Still not buying. Still too expensive. Just some fun over the weekend. Oh how naïve I was. I often get asked if such a car is worth it. If four wheels and some engine getting you from A to B can't be had for much less, often with more cubicle shaped cubic metres to haul washing machines in. To me, this is the greatest car on sale today™, and worth every cent. It is made perfect by an almost® unique mixture of a shape reminiscent of an Aston Martin (yes he wrote that! ), with comfortable room for four, sometimes five, and luggage room to haul quite a lot, even if a washing machine won't fit. 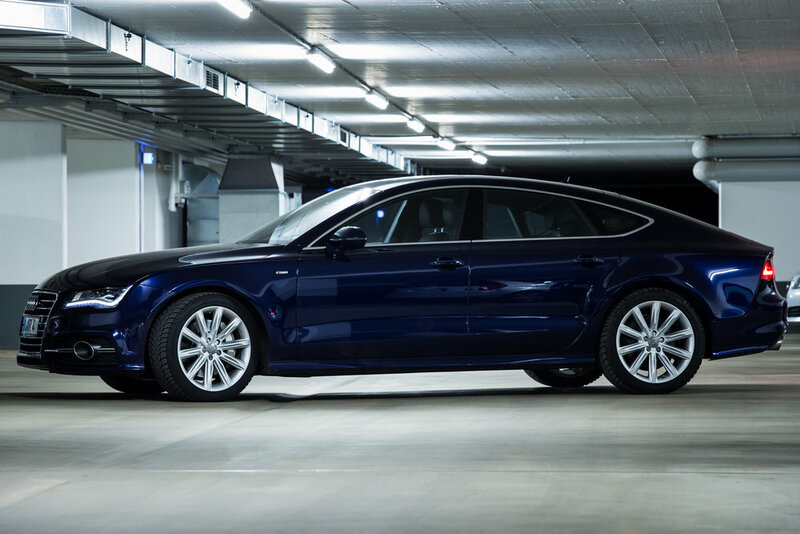 Add to that the interior quality of the haptics-obsessed folks in Ingolstadt, a few great engines, and (optional, for a price, of course) a parliament of gadgets which fill my gadget-obsessed heart with joy, and it's an instant…deep thinking about finances and how, sooner or later an A7 just has to fit in. Fast forward to a bit more than a year later, and the required amount to seriously consider such a car had accumulated in my accounts. What to do then? Test drive. A comparison to show my almost-wife the absolute willingness to consider her favourite option, a station wagon. So we drove, on the same day, first an A7 and then a BMW 5-series Touring. 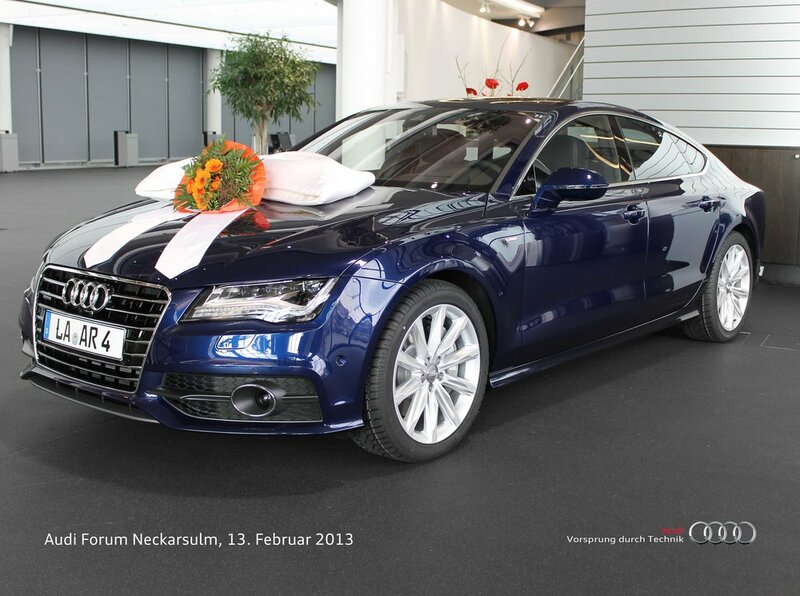 The A7 had the brand-new bi-turbo diesel V6 with 313PS and 650NM. 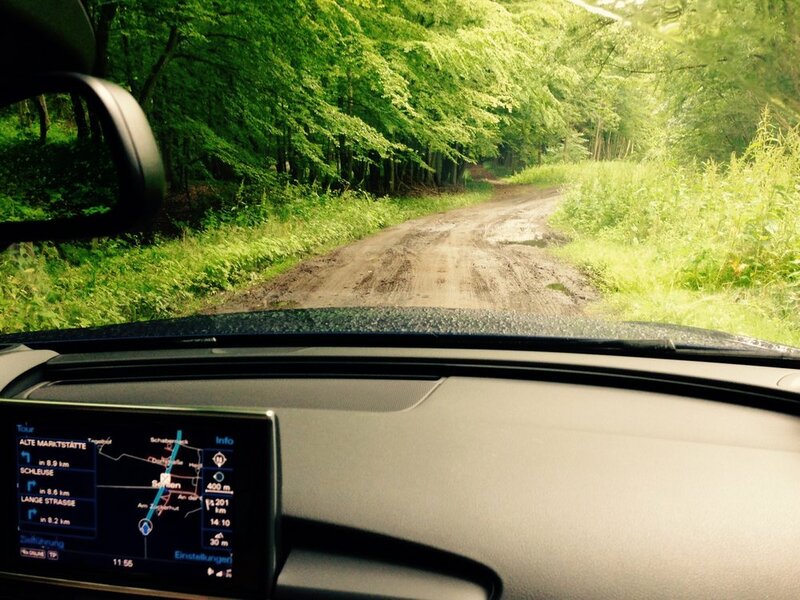 The 5 series had…some four cylinder diesel. That was not the only reason for a difference in reaction so marked, Anja knew before I did that a decision was made. A few days and a few hundred configurations later, I found myself at Audi Zentrum Landshut. I met a very capable salesman (hi Alex!) 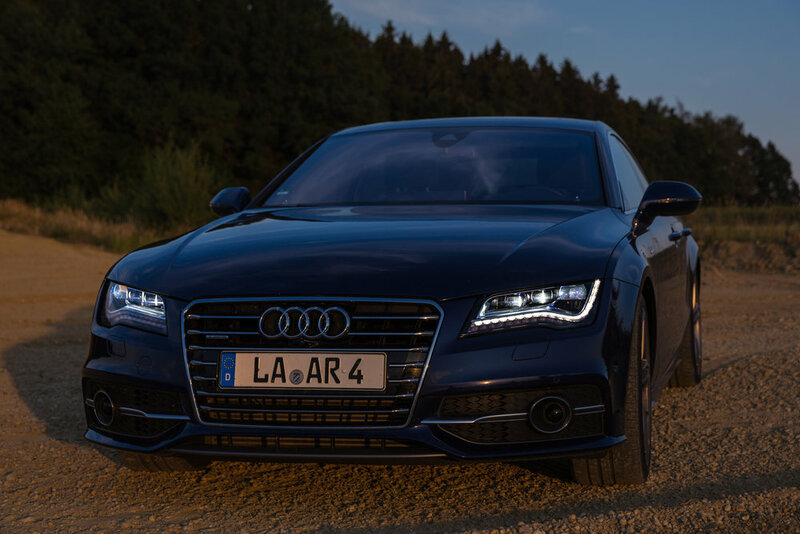 who certainly could have told me everything about the A7…had I had any questions. Instead, an Audi configuration code later, pretty much all checkboxes were filled, and the order on its way. The rest is a history of impatience and "Vorfreude ist die schönste Freude" nonsense from friends and family. Until, a mere week after the most significant event of my adulthood so far, my now-really-wife Anja and I went to Neckarsulm to celebrate the second-most. The Individualabholung of the Audi. The whole experience was really great, with an interesting tour of the factory paint-line, good food and generally very welcoming people everywhere. The highlight of it all was certainly to see the dream fulfilled, my very own A7, built to my specifications (with some finishing touches courtesy of Audi Individual, especially the exterior colour, Estoril Blue). The drive home was part awesome, part nerve-wracking (no scratching the new car!). The following years were exactly as advertised. 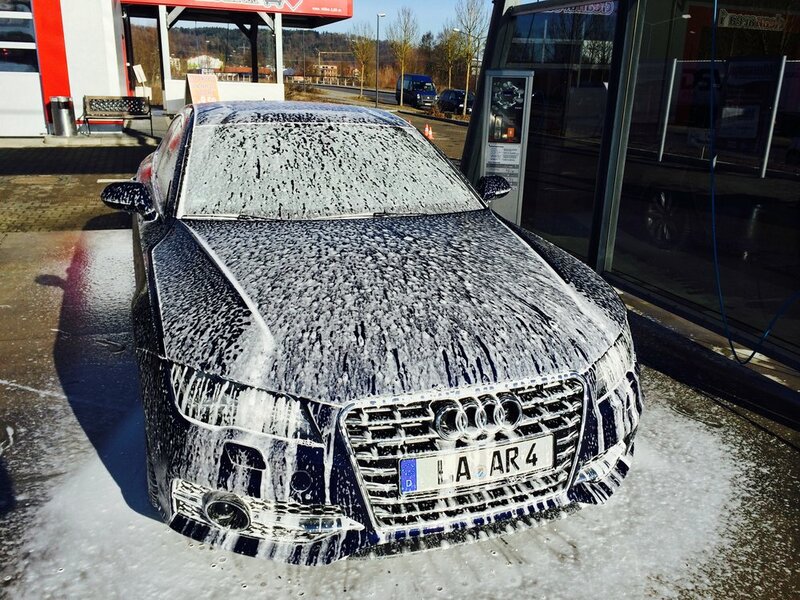 Our A7 had pretty much no issues, running smoothly in every speed range from going to the shops at a crawl, to hyperdrive at a near-constant 266kph trying to reach the holiday destination in time. That's what Audi calls "limited to 250kph" by the way. But the best part? Actually looking forward to getting up at 5 for the morning shift. Because then I could go into the garage again, take in the sleek lines for another moment, sit in those oh-so-comfortable seats again (maybe start the massage function…), and smoothly glide to work. Or tear up the back roads when there was no work to be done, because somehow that added expense for the Quattro Sportdifferential had to be justified. All while listening to my own tunes via the outrageously exp…excellent B&O sound system. If you try to quantify love for a car, the number of photos taken is probably a good measure. For something that barely changes over the years, if at all, 300 seems quite good. However, now there has been a quite considerable change. When ordering the A7, I briefly considered the option of the S7, but chose the Diesel due to mileage concerns. Still, that V8 was always alluring, with opportunities to drive one decreasing as the years pass. More recently, there was also that slight concern with something called "Dieselgate". So, with a chance offered to trade in our A7 against leasing a lightly used S7, and it actually being an excellent deal, I decided that "Diesel was out, V8 was in". It all went very quickly from there, with barely enough time to say good-bye to my dream car. Now all that is left is fond memories, photographs, and the hope that the new owner is taking good care of it. Thankfully, there is plenty to console myself with. The V8, albeit heavier than the Diesel, feels more agile and is of course very much faster. The sound of that engine is also fantastic, and all the rest? Basically the same, with some updated infotainment. So, pretty much perfect then. Oh and you have to see those Matrix LEDs in action to believe how well they work. So, that lease runs out in two years. I have already seen the new A7 in disguise, which it should lose soon. Of course, I don't really know which car it will be for us in August 2019. But in my heart, I have a pretty good feeling already.